... 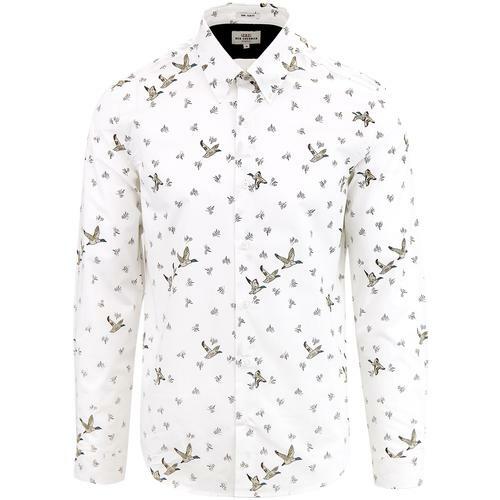 So let me introduce to you, The one and only Shears print shirt! 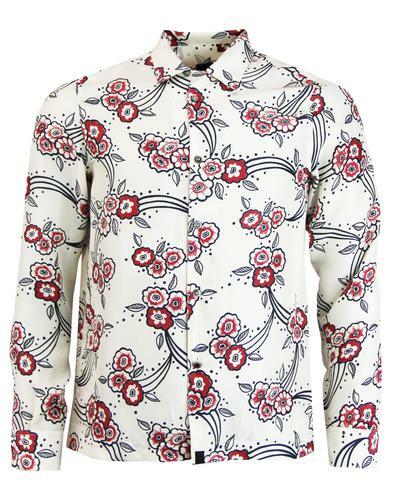 Pretty Green x The Beatles 'Shears' Men's 1960s Mod floral print kaftan shirt in purple. 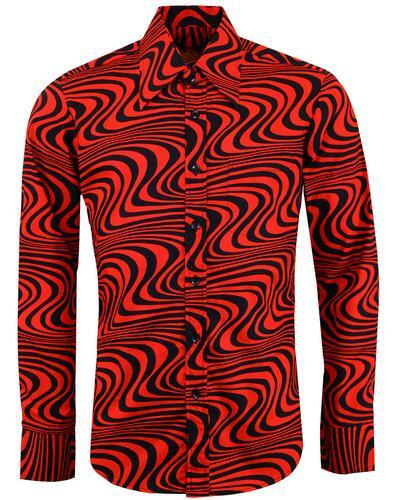 Part of the Pretty Green x The Beatles collection. This stylish Pretty Green x The Beatles 'Shears' Kaftan shirt features a 1960s Psychedelic floral pattern infused with 'All You Need is Love' line and The Beatles signature. A fab Retro ditsy floral design winds round larger floral motifs conjuring up images of 1960s Psychedelia. The 2 button Kaftan style stand collar is inspired by Eastern influences on 1960s fashions and evokes a stand out Dandy Mod vibe. Pretty Green signature corozo buttons combine with the fine floral design, carefully hand drawn in house by the artisans at Pretty Green. 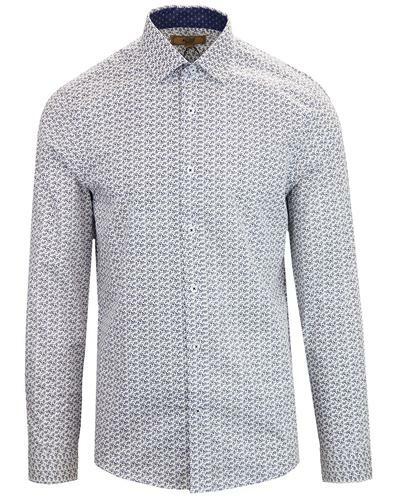 4 button cuff detailing and split side seams finish the 'Shears' shirt off in style! The subtle tagline of 'All You Need is Love' on this Retro Kaftan shirt needs no introduction, a sentiment that was transmitted around the world as part of the 'Our World Live' satellite broadcast on the 25th June, 1967. The event was watched by an international audience estimated to be in excess of 350 million! All you need is Love was a non-album single, sandwiched between Sgt Peppers and Magical Mystery Tour in 1967. That's some exemplary and prolific recording! ... and probably the worlds finest sandwich! 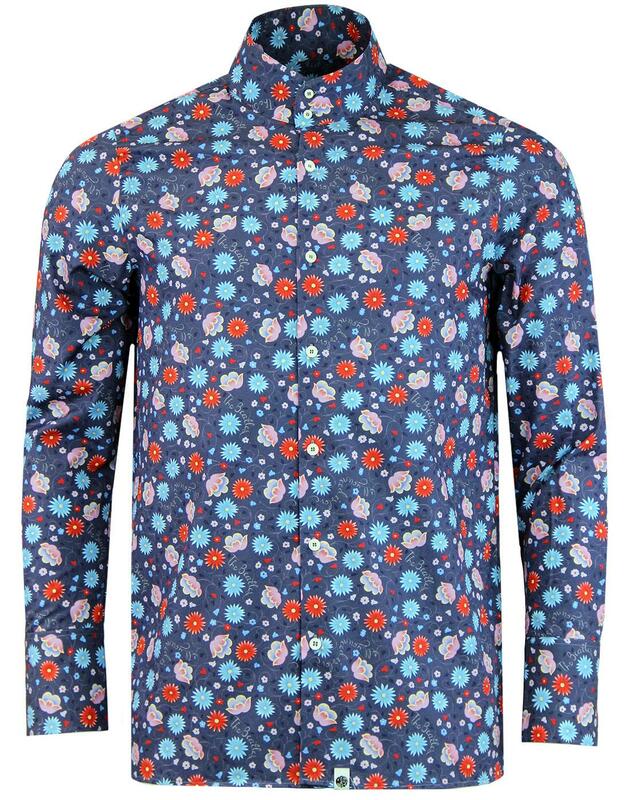 - Pretty Green 'Shears' men's 1960s mod floral print Kaftan shirt in purple. - Hand drawn 1960s psychedelic floral pattern throughout. - Featuring The Beatles hand written signature detail. - All You Need Is Love hand drawn tagline. 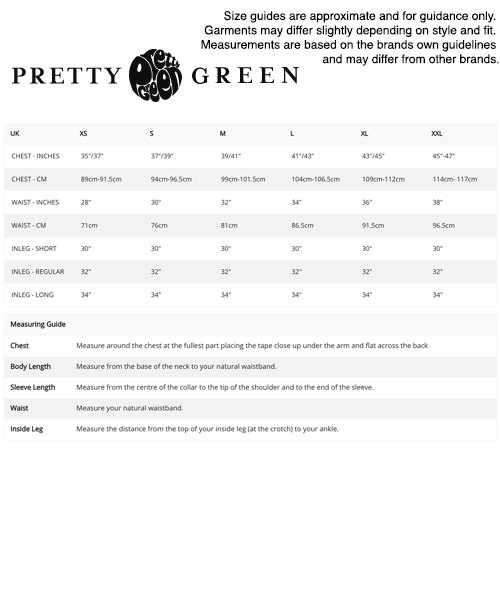 - Two button stand collar. - SKU: A7GMU54749475 Shears Kaftan Shirt.